The German Ambassador to the Security Council told to Serbian diplomats that the only way for Serbia to be part of the EU is to recognize Kosovo as an independent state. 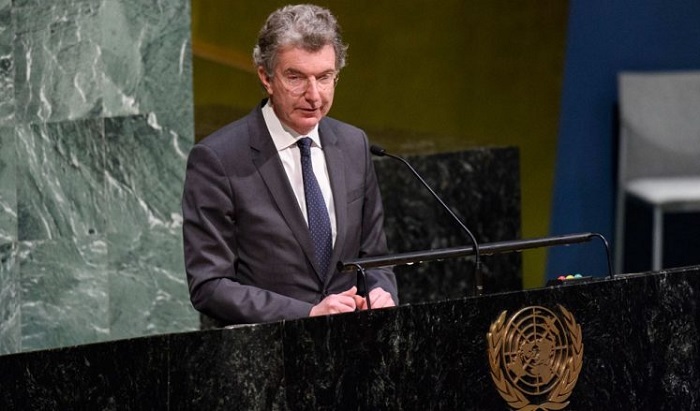 This statement was made by Ambassador Christoph Heusgen at the Security Council meeting that is being held for Kosovo. He even mocked the work Serbia is doing to prevent the recognition of Kosovo. "By pushing countries to attract Kosovo's recognition, you are striking yourself with your own hands and I do not understand this," he said. He has also spoken against reaching a deal with the changing of the borders, considering it dangerous. "No agreement in Brussels talks about changing borders or changing territories. We in Germany think that these efforts are dangerous for the region and destabilize the region," he said.